They say place a stellar track in the opening slot to garner attention for an album in this age of diminishing attention. Not only has Anna Tivel heeded this advice with the title piece of her new album, but followed it up with a further nine delightful tracks to make it quite possible that you will fall in love with this record. THE QUESTION elegantly flows from start to finish delivering a slice of singer-songwriter nirvana to listeners excited by such craft. Several operations have conspired to bring the music of this Portland Oregon native to the ears of a UK audience in recent times and a grateful increasing fan base offers little complaint. The ten superlative songs frequenting this thought provoking album (in many ways) are best indulged in a solitary listening experience where distractions are cast aside; these songs warrant attention and supremely reward the attentive ear. Pushing ‘The Question’ the distance in any ultimate futile game to syphon out the best is the gorgeous pivotal track ‘Minneapolis’. Both songs are loaded with delectable hooks and breathe an entity of their own. One guarantee is that while early plays are likely to draw you to either of these tracks, subsequent spins throw up alternatives such as the creatively vivid ‘Anthony’ , a centerpiece in the album’s second half and the poignant ‘Figure it Out’ a couple of slots earlier in the running order. While the hypnotic velvet vocals instantly grab you, time and diligence is required to tap into the lyrical riches. A delicate instrumental canvas that illuminates the songs with the aid of assorted strings, keys, woodwind and percussion should not be underestimated. With all the pieces intact, this is an album without boundaries to where it travels. Alongside the credence of a strong opener, a simultaneous closer also does the trick of bracketing a significant set of songs. Here ‘Two Strangers’ rises to the mantle and so much Gretchen Peters oozes from Anna Tivel at this point; a no mean association by far. Scanning the credits revealed two familiar names. Jeffrey Martin, with whom Anna toured the UK last year including memorable sets at Maverick Festival, and ex- Della Mae member Courtney Hartman, who is starting to appear on different projects. Further delving reveals this as the fourth Anna Tivel album on Portland’s Fluff and Gravy Records label, but a first one getting a wider circulation, although the previous release accrued lauded approval from select and trusted sources. The story nature tagged to many of the songs means that not every crevice of the record can be explored in minimal listens. However, it is far from a hardship to allow oneself to drown in the beautiful vibes that radiate from whichever device you choose to plug in. Headphones attire in a comfortable armchair is one recommended mode. THE QUESTION poses many, but more importantly offers answers to what an inspirational album should sound like. 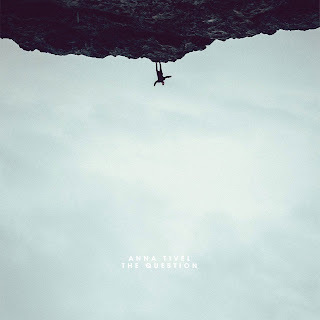 Anna Tivel may have arrived in several welcoming destinations via her previous records, but this 2019 album will widen things further.